Today, I’m launching that site. It’s a classy feature of my work in watercolors, oils, and pencil which also comes with the ability to offer prints-on-demand and optional frames. It also has a shopping cart for the purchase of original works. Stop by and tell me what you think? 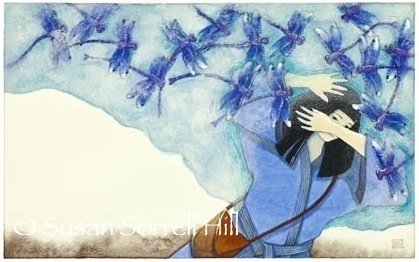 And if, as an artist, you’ve had any experiences-pros or cons-with Artspan over the years, I’d love to hear about it. (And if they’re the sort of comments you’d rather not post here, I’d be grateful to hear them via the email link at the bottom of my website’s Contact page — here.) Thanks! I’ll still keep my Etsy shop (original watercolors and works on papers) for the time being, and I’ll be comparing the activity and traffic of these two sites over the holiday season. Egad…the holidays are almost upon us..does anyone smell turkey roasting…or stuffing…or pumpkin pie? Can you tell that Thanksgiving serves up my favorite food? Ok, now to get out into Nature. 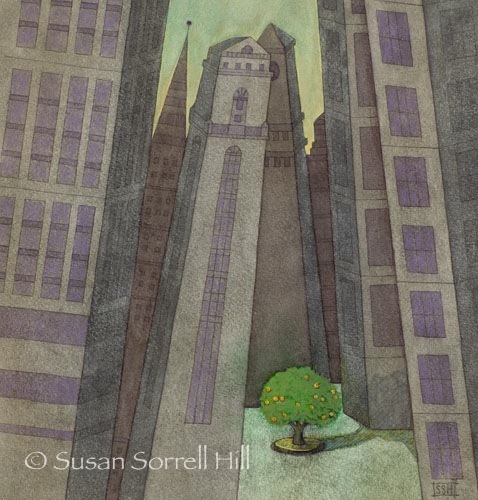 Fall 2014 Update: The Artspan shop is closed (sorry folks, no prints) but the Etsy shop is still open for originals. Thanks for visiting! Could it be turning 60, or maybe it’s Spring Fever…? 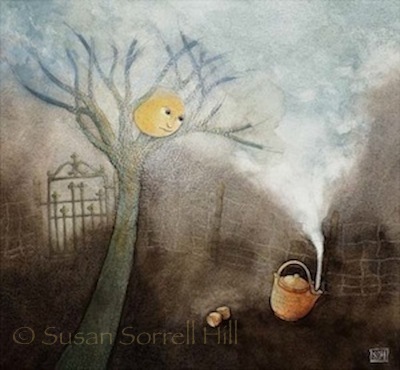 I’ve just re-christened my Aunt Soup Etsy shop–it will now be known as the Susan Sorrell Hill shop: same exquisite original watercolors and works on paper. All your bookmarks will still work. (There’s a link in the WordPress sidebar here.) Thanks for dropping by! News: My New Etsy Shop! I’m excited to announce the Grand Opening of my new Etsy shop, Aunt Soup! 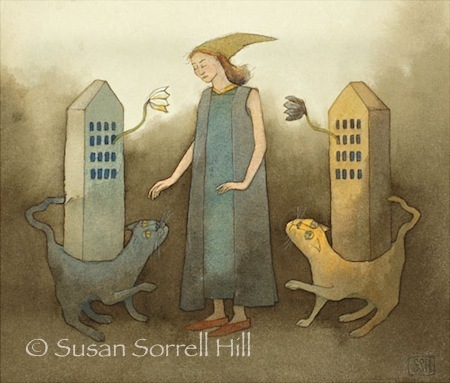 Here you will find original watercolors and other works on paper made by me, Susan Sorrell Hill (alias Aunt Soup), along with photos, informational tidbits about my working process, my studio…and another glimpse of life through the eyes of an artist. If you’ve never been to the Etsy site, you’re missing something special: a vast collection of artists and craftspersons working in every conceivable medium and price range. It’s a feast for the eyes, and there are many ways to search and site tools to help you navigate through the deliciousness of it all…Gift Ideas, Category Searches, Member’s Curated Treasuries, Member’s Favorites, Newly Posted Items and Color Searches, just to name a few. There is always new work to be seen, and Etsy has made it very easy for collectors to browse and purchase directly from the maker, and get to know them as real people in the process. It’s a shopper’s paradise…and it’s also very easy to purchase that special item that’s caught your fancy! Visit me and my work at Aunt Soup here. 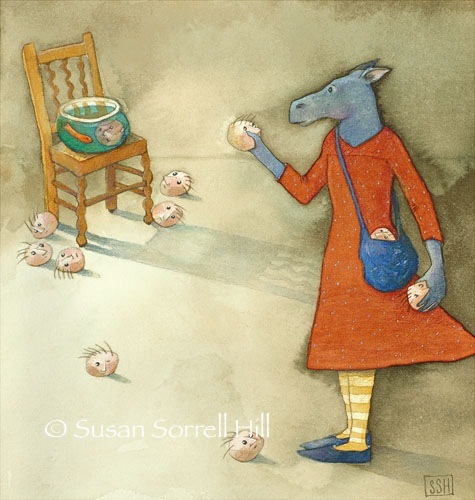 I am an artist who also writes, working in watercolors and oils. Timeless stories and that most interesting of questions, "Why?" 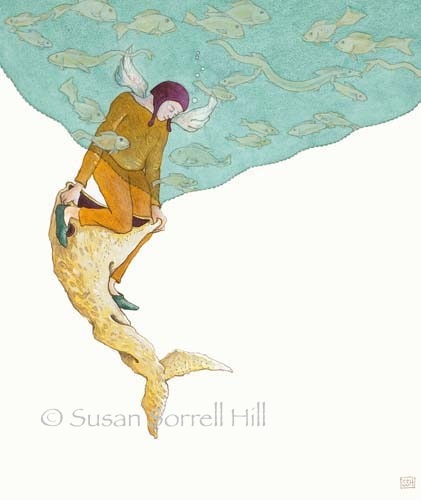 inspire me, and the symbology and archetypes found in myths, fairy and folk tales are especially intriguing. Two of my own illustrated tales are currently seeking their publishers. 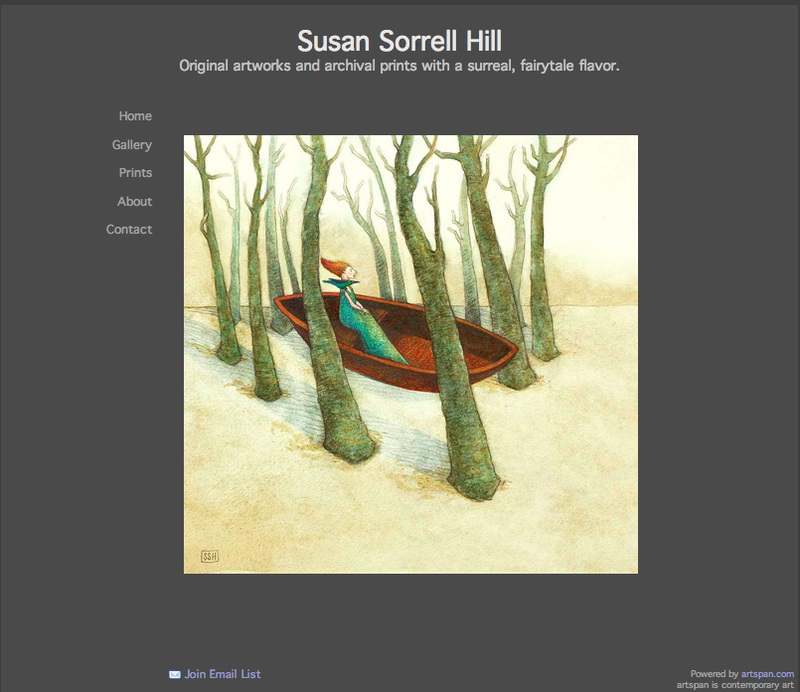 ❦ For queries of any sort *click* on the image above and proceed to my Contact page at www.susansorrellhill.com. 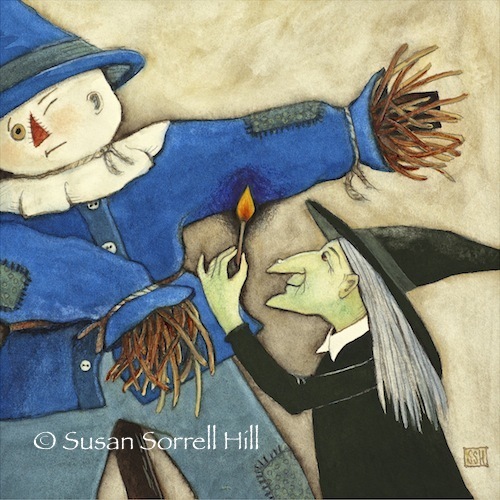 ❦ All images © Susan Sorrell Hill. Please give credit and links if re-posting my words or artwork. Thank you! 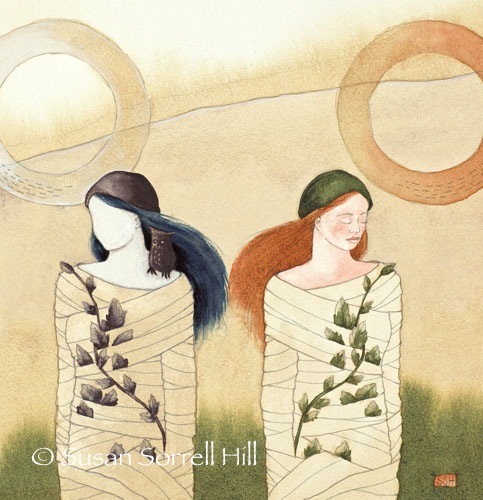 Gorgeous open edition museum-quality prints, custom-framed or unframed. 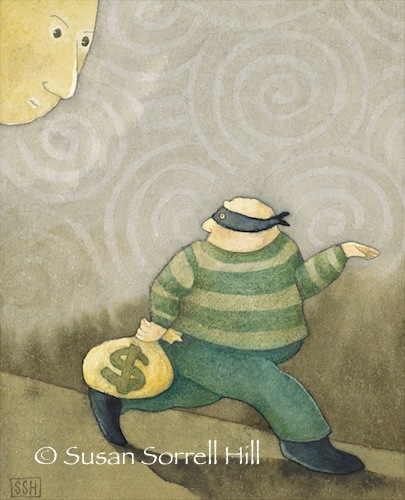 Fearless Creating: A Step-by-Step Guide to Starting and Completing Your Work of Art by Eric Maisel, Ph.D.